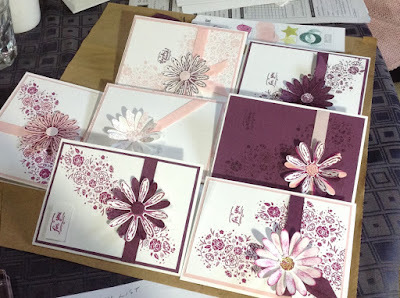 Look at these GORGEOUS cards we created at our Stampin' Up! party last weekend. Aren't they gorgeous? I totally LOVE all the different combinations made by each person when we have a party - we had so much fun, and everyone was super creatively inspired (even those who thought they weren't artistic, and had never stamped before!!!) It was SO MUCH FUN!! 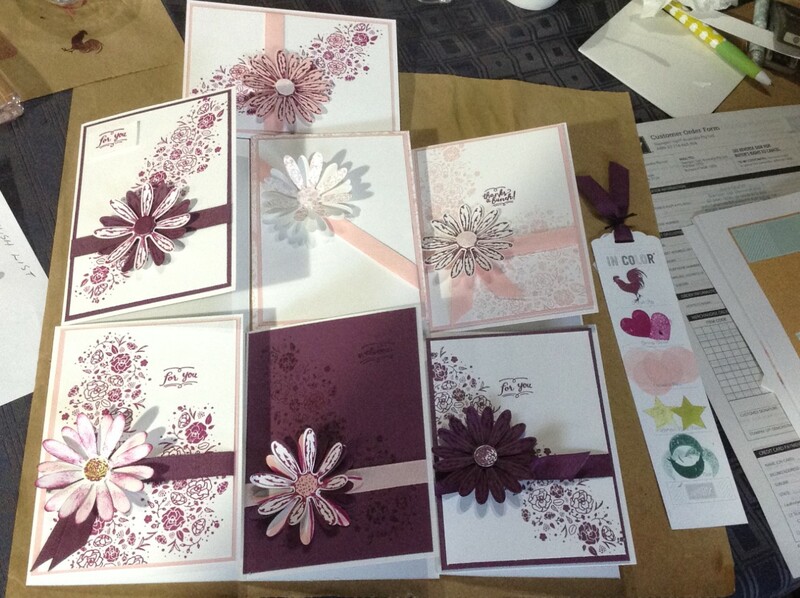 I totally LOVE sharing my love of Stampin' Up! with you - and the BEST way for me to do this is at a Stampin' Up! party! And guess what????? We have a perfect promotion for hostesses this June - more freebies for you and perfect timing with our new catalogue too!! PLEASE contact me if you would like to book a party this month (or whenever really !!) and I would love to share my love of created paper craft with you and your friends - what a perfect way to have a little time out from our full lives AND to share time with people we care about. Remember our Cardmaking retreat day - another way to share your time and creative energy with friends as we spend the day making cards!! Places are filling fast!! THank you so much Barbara. I hope you've been inspired to create some gorgeous Daisy cards too!! Happy stamping!